The High Commission of India, Georgetown in conjunction with the Government of India has launched a special programme which gives the older generation an opportunity to visit India and reconnect with their roots. The programme is available to all persons of Indian origin, aged 45 to 65 years old, who have never been to India previously and fall within the low income category. The Special Know India Programmes (KIPs) referred to as Pravasi Teerath Darshan Yojana will be held in India for 22 days with partner states, Delhi, Rajasthan, Uttar Pradesh, Bihar, Tamil Nadu and Kerala, from January 19, 2019 to February 10, 2019, which coincides with the Annual Pravasi Bharatiya Divas (PBD) Convention for which applicants would also have to register for. The second KIP will be organised from January 31, 2019 to February 16, 2019. The Government of India will assume all costs for boarding, lodging, visas and 90 per cent of the economy-class return air-ticket for the selected participants. The printed and signed Application and Annexure forms, along with one recent passport-size photograph and a copy of the applicant’s Guyanese Passport are to be submitted to High Commission of India for Pravasi Teerath Darshan Yojanas no later than October 31, 2018. 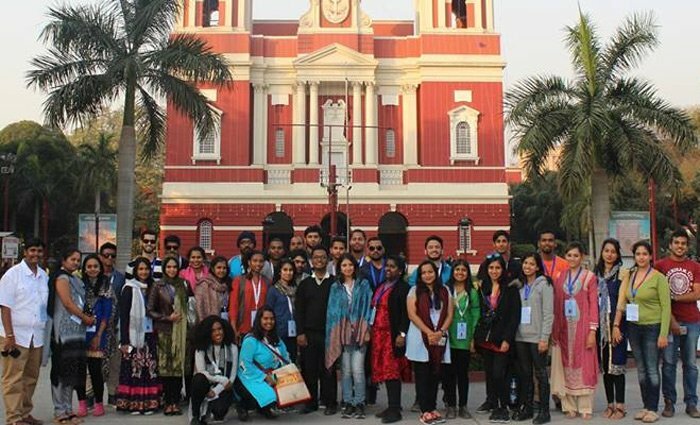 Know India Programme (KIP) is a flagship initiative of the Ministry of External Affairs (MEA), Government of India GOI, which familiarises people of Indian origin with their Indian roots and contemporary India, through a 25-day orientation programme organised by the MEA. The KIP in the past was only available to youths between 18 to 30 years old.